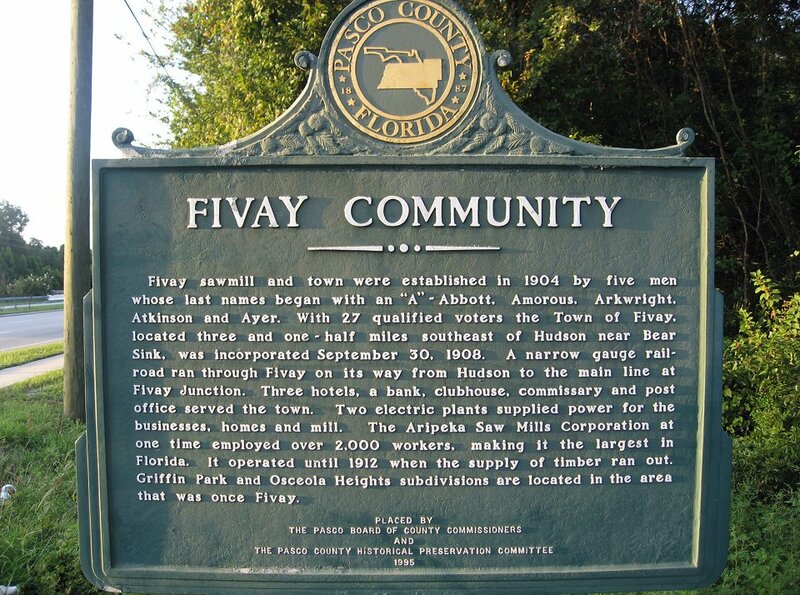 FIVAY COMMUNITY MARKER. This marker is no longer standing. Over the weekend of Aug. 14-15, 2010, it was stolen, perhaps for scrap metal. According to an email from Jeff Cannon, “There are no apparent signs that it was hit by a car and instead appears to have a shoe print on the base where someone kicked it. The missing marker has been reported to the County and hopefully it can be located for repairs, especially if someone turned it in for scrap. If it can’t be located the County will either have to provide funding to replace it or it will have to be replaced with donations.” This photo was taken from flickr, where it can be viewed in higher resolution.